The news comes following confirmation of an award of £1.5 million from the Heritage Lottery Fund (HLF) that will be matched by Blackburn with Darwen Council. The project aims to restore and refurbish up to 25 historic buildings, create a new civic space, provide local people with training in traditional building skills and develop events and activities that celebrate the town’s rich history and heritage. 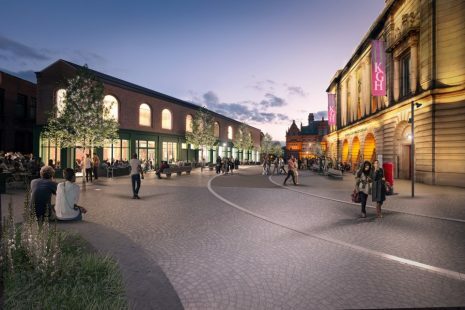 It will focus on the Northgate Conservation area and include King George’s Hall and properties on Blakey Moor, Northgate and Lord Street West. Set to run over the next five years, it will offer grants of up to 80 percent for conversation work to heritage buildings, funding repair or reinstatement of architectural details and bringing empty properties back into use. One of the main focusses will be the restoration of the Blakey Moor terrace. The Victorian terrace will be restored to its former glory externally and improved internally making it more suitable for restaurant use, which is a key part of the town centre strategy. The area will be made more pedestrian friendly and benefit from improved planting, lighting and paving. In addition, the project will work with Blackburn College to deliver a heritage skills training programme, complementing their existing construction courses and helping to ensure future local trades people have the specialist skills and knowledge needed to take care of the town’s historic buildings. A programme of events and activities will also be planned to encourage to get people involved in the project. Including the commissioning of new music and performances to reflect the town’s history and culture. A previous townscape heritage project that was undertaken in Darwen has been shown to have increased business confidence and helped boost the evening economy. 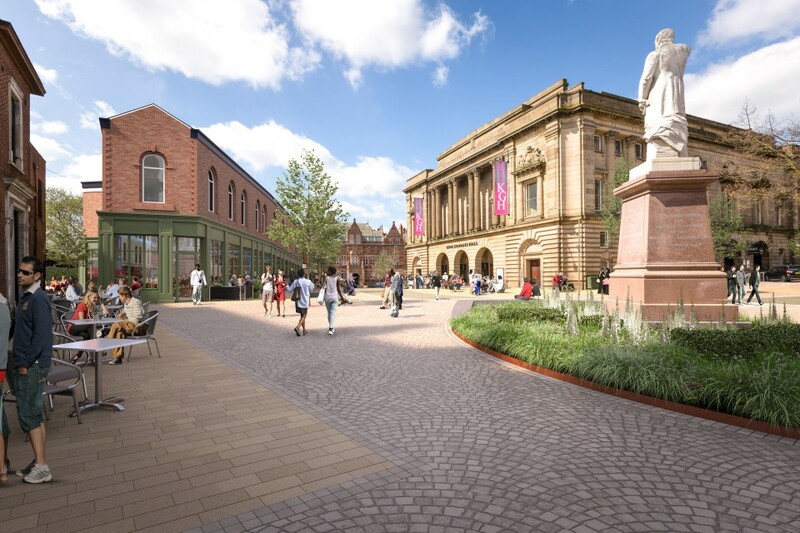 This is fantastic news for Blackburn and this scheme will really help make the most of King Georges Hall, a vibrant cultural asset. The project will add to the huge amount of regeneration and investment that is already taking place across the town centre which includes the new multi million pound leisure centre and the new bus station. I think visitors and residents can’t fail to be impressed by the changes that are taking place in the town which are key to making Blackburn a place that is attractive to live, work and invest in. This is a really exciting moment in the regeneration of Blackburn and we are delighted to be playing our part. The town’s historic buildings provide a tangible link to a proud past and today’s news will ensure they play an equally important role in the future.